At the beginning of the 20th century a large area of the Middle East, the Ottoman Empire, was ruled by the Sultan of Turkey, Abdul Hamid II and his appointed Grand Vizier. However, the governors of the Empire's four provinces: Anatolia, Mesopotamia, Kurdistan and Arabia enjoyed a certain amount of autonomy. A series of military defeats in the 19th century had compelled the Turks to grant zones of influence to European powers: Britain (Egypt), France (Syria and the Lebanon), Austria-Hungary (Bosnia-Herzegovina), Italy (Libya). Russia was interested in Armenia and Italy wanted parts of the eastern Mediterranean. Abdul Hamid II was forced to summon a parliament in 1908 by the Young Turks movement. He attempted a counter revolution in April 1909, and when this failed he was deposed and exiled to Salonika. Enver Pasha, eventually emerged as the new leader of the country. 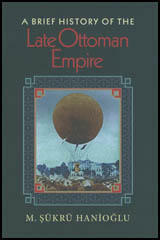 In 1914 the Ottoman Empire contained an estimated 25 million people. Although there were 14 million Turks, there was also large Arab, Assyrians, Armenian, Kurdish, Greek and Circassion minorities within the Empire. As a result, there existed nationalist, separatist movements in several areas of the territory under the control of the Turks. Under threat from within and outside its borders, the Turkish government sought a protective agreement from one of the two European power blocs: the Triple Alliance or the Triple Entente. As Turkey was mainly concerned about Russian expansion, it decided in July 1914, to sign a defensive alliance with Germany. This remained a secret agreement and Turkey continued to have talks with other European countries.